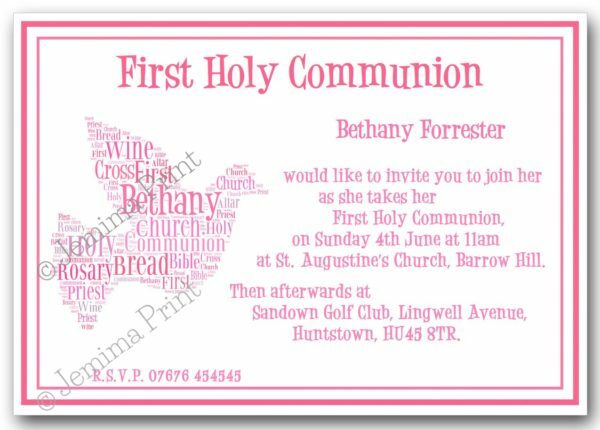 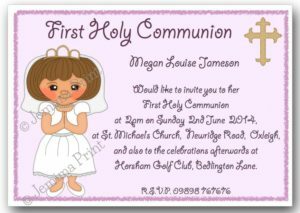 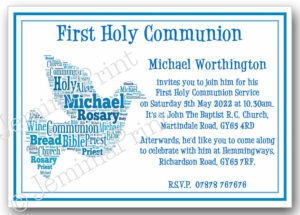 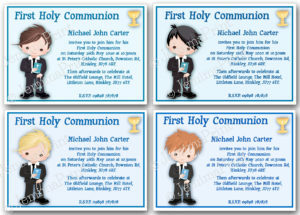 The standard wording on this design is ‘First Holy Communion…..(child’s name) would like to invite you to join her as she takes her First Holy Communion, on (date) at (time) at (venue). 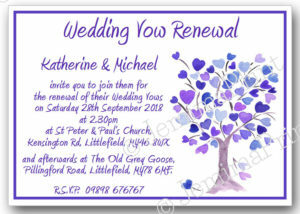 The afterwards at (venue). 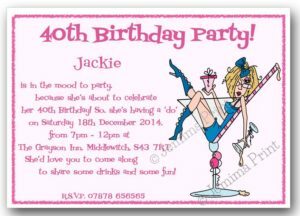 R.S.V.P. (phone number). 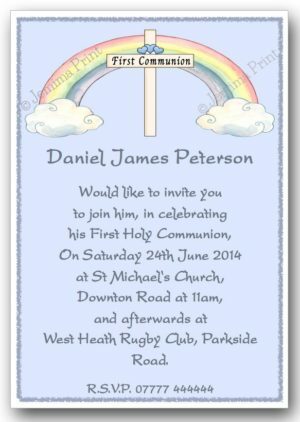 Please send me the name, date, time, venue(s) and RSVP phone number (if required) to personalise your invitations via “order notes” at the checkout.